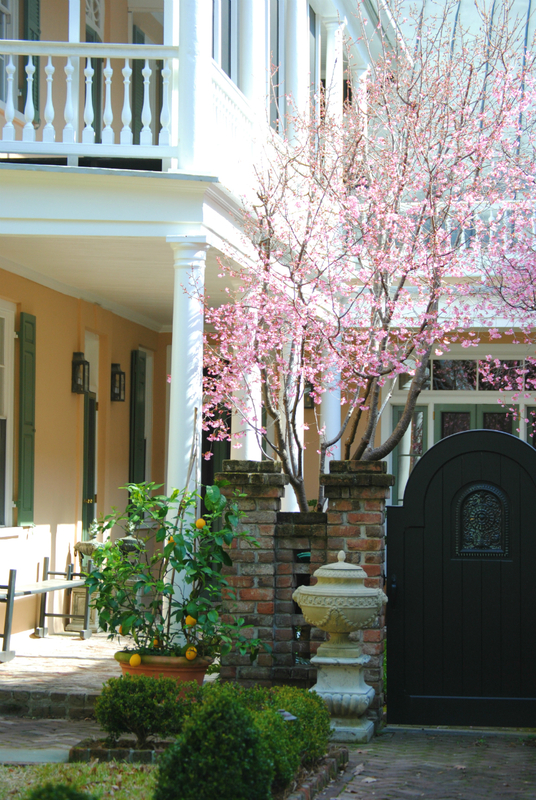 charleston snapshot: glimpses of spring. 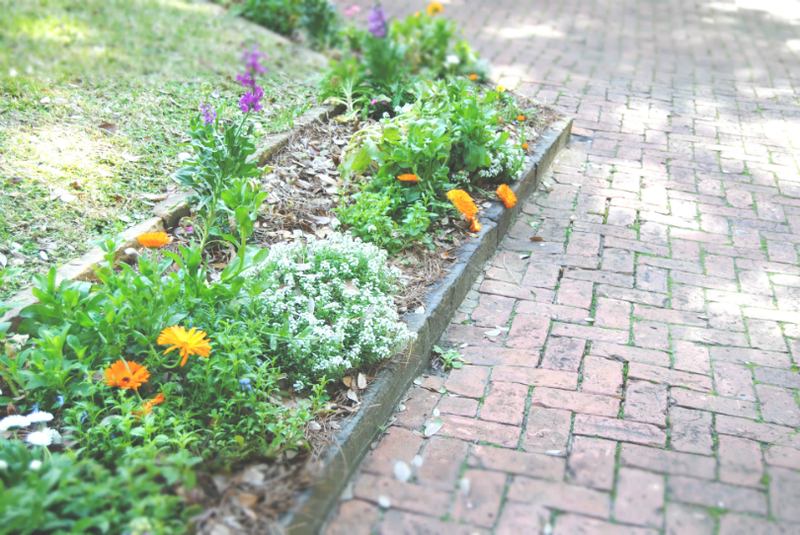 While we were traipsing around Charleston for our Valentine's Day trip, we saw little visions of Spring popping up all around us. It was so nice to see the colorful scenery & think of the brightest season of the year being right around the corner. 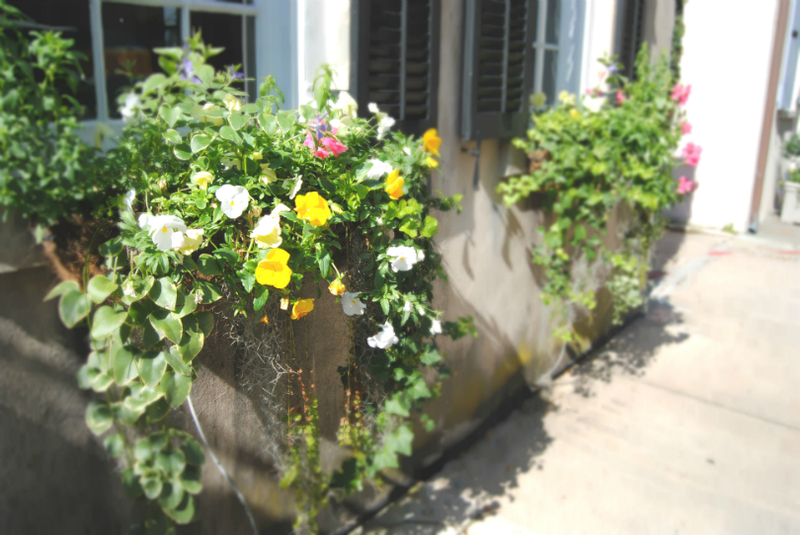 and now, for the window boxes. 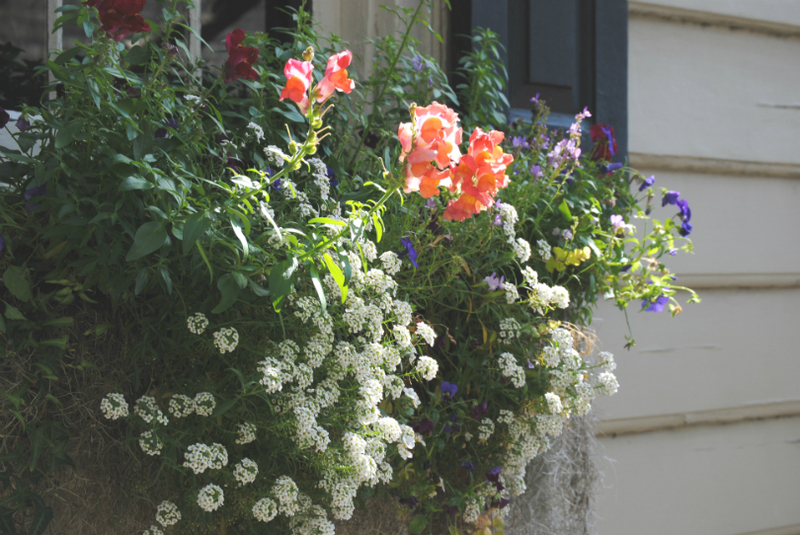 oh, how i loved the window boxes. More from our weekend adventure in The Holy City coming soon. oh how beautiful! I'm jealous - I want spring! 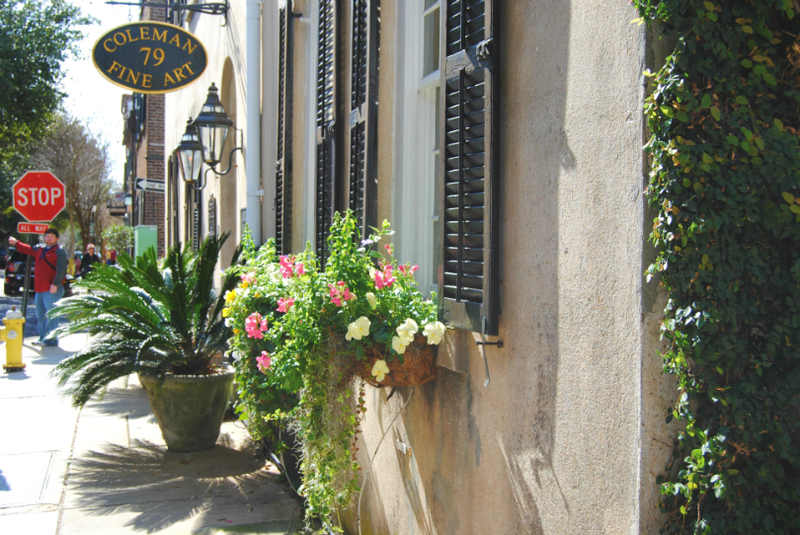 These photos make me miss Charleston. And make me soooo very ready for spring. Gorgeous images. p.s. your blog is so cute! love it! 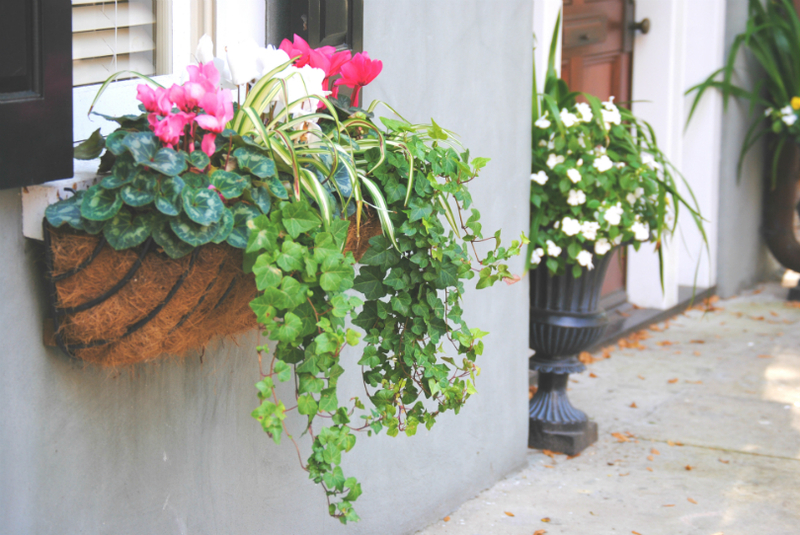 Those window boxes just kill me. So pretty. I need to visit Charleston! you definitely do. it's as gorgeous as everyone says - & so peacefully serene! Aw, this post made me so happy. I seriously can't wait for spring! um, YES PLEASE. let's start planning. These pictures are absolutely beautiful! 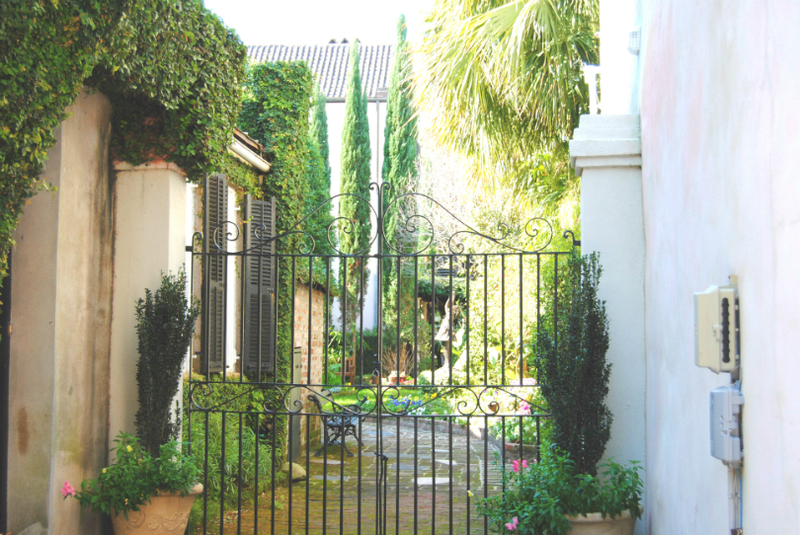 Like a secret garden. 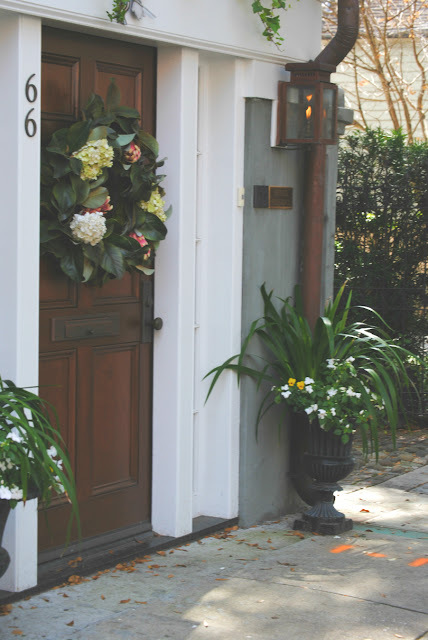 Loving that door wreath!! thank you, ma'am! the wreath is one of my favorite parts - i want to make one like it! you & me both! i'm done with the drab melancholy of winter - bring on the brights! mine too! 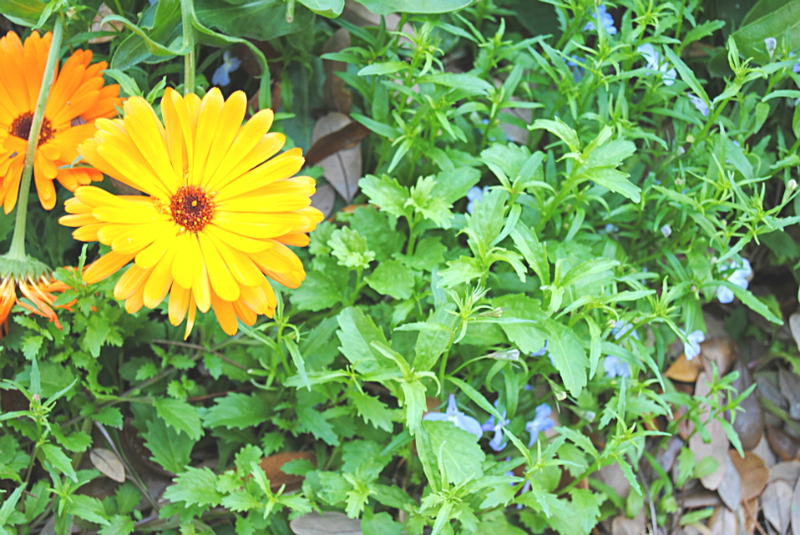 it was so nice to see color popping up everywhere! the sunday currently, volume 23.
a little wish list: high end beauty products. the sunday currently, volume 22.
friday's fancies #59: red + pink. the sunday currently, volume 21.
next week: our wedding through the focused linz. what kind of person do i want to become? wilmington snapshot: two churches + a courthouse. the sunday currently, volume 20.
friday's fancies #57: apres ski attire.